Designing websites during the early stages of the public Internet entailed using software no more complicated than Notepad, the real heavy lifting done by the coding skills of the designer in question. As time passed, however, software emerged that allowed those unskilled with HTML and other web-friendly languages to design websites in a so-called “what you see is what you get (WYSIWYG) environment,” and the likes of Adobe Dreamweaver emerged. Offering a full-featured design environment, Dreamweaver allows even novice designers to manipulate their projects using familiar, word processor-like commands and controls. Reigning as a favorite among Linux users who double as web designers, KompoZer is a top-notch WYSIWYG editor in the style of Dreamweaver and Microsoft FrontPage that combines the core design features you’d expect with additional offerings such as file management utilities, debugging capabilities and very thorough help files to get even those entirely new to Linux software started in style. 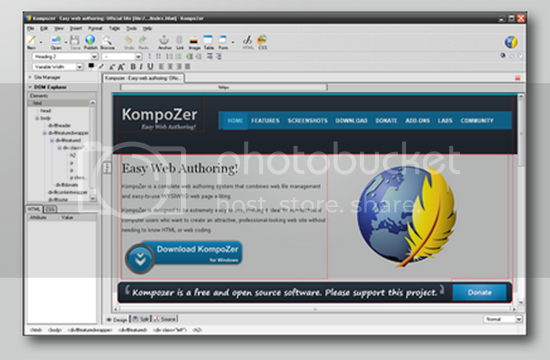 Based on Gecko, the rendering/layout engine created by Mozilla and used in the wildly popular Firefox web browser, KompoZer brings a level of stability and trust to this list not found anywhere else. Additional features offered by Aptana and in line with Dreamweaver’s own are an integrated debugger and a deployment wizard that helps you to synchronize your local modifications with your remote server via FTP. The inclusion of a built-in terminal goes a step further by allowing you to work on an administrative level both on your personal computer and your remote server, giving you an added level of control over your projects. 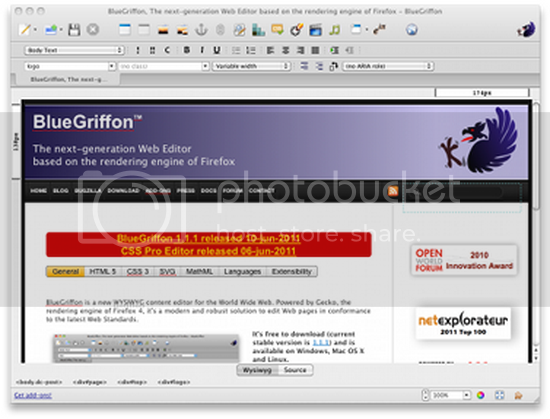 Based on the same Gecko engine as the more popular KompoZer software, BlueGriffon offers many of the same features in a smaller and less top-heavy package than its counterpart. Aimed at users both fresh and experienced, BlueGriffon sports a simple interface without some of the complexity found in its competitors and offers the extra appeal of wide language support; users speaking English, Dutch, Finnish, French, Czech, German, Hebrew, Hungarian, Italian, Japanese, Korean, Polish, Chinese, Serbian, Slovenian, Spanish and Swedish will find a fully translated version available to them with the simple push of a button! Amaya is the simplest tool listed here but offers a few features that sets it apart from the others we’ve outlined, the most important of them being that it comes directly as a result of development by the official World Wide Web Consortium (W3C). The official body determining web coding and design standards, the W3C knows better than anyone else what both the present and future of web design holds, and this knowledge is reflected in Amaya’s ability to work quickly and easily with the core languages of HTML and CSS. 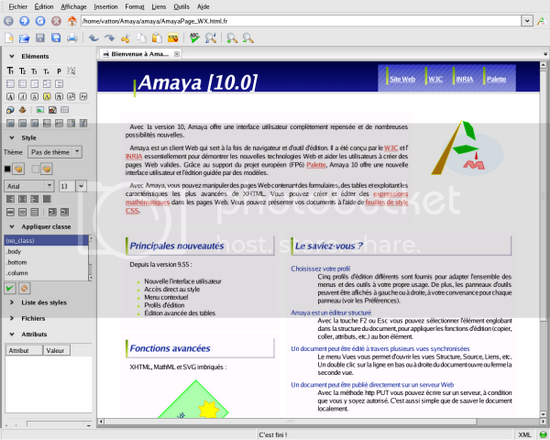 Additional functionality in Amaya includes the unique ability to work with XML applications such as those based on XHTML, MathML and SVG, broadening its ability to be used in nonstandard design projects. Anna Fox is the editor at Social Media Infographic, the blog collecting best visuals that make understanding social media easier.